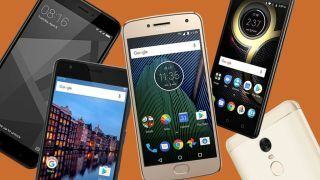 Choosing the best smartphone under Rs 7,000 can be confusing, mostly because there are several options available on the market right now. You have to consider a number of aspects like the battery capacity, display quality, software support and the overall durability of the smartphone when you decide to buy one. Fortunately, the intense competition in this segment means that you have a host of devices to choose from, which can consider while choosing one that fits your needs the best. However, if you have some extra money to spare, you must check out the best phones under Rs 10,000. Currently, The Xiaomi Redmi 6A is the best budget smartphone in India. It comes with a 5.45-inch HD display and a quad-core MediaTek 6761 chipset. The phone was launched with Android 8.1 Oreo out of the box and supports dual SIM, 4G VoLTE as well. It offers a one day battery backup with its 3000mAh battery. It has one of the best looking displays in its league and same goes with the camera setup. The only downside is limited storage, but a microSD card slot covers it up with support for up to 256GB. Honor 7S has a great build quality for its price, and the big, vivid display also makes it a decent phone for those who spend time scrolling social media feed and consume video content. However, poor performance and the lack of a fingerprint scanner reveal a budget phone that makes too many compromises. If you are in the market for a phone with stock Android under Rs 7,000, the Moto C Plus is a good option. It features a 5-inch HD resolution display and is powered by a quad-core MediaTek MT6737 chipset. In terms of memory, the Moto C Plus comes with 2GB RAM and 16GB storage, with support for microSD cards up to 32GB. Imaging duties are handled by an 8MP rear camera and a 2MP front camera. Aimed at the selfie-conscious smartphone user, the Redmi Y1 Lite was launched late last year with a 5.5-inch HD display, a quad-core Qualcomm Snapdragon 425 chipset and a 13MP rear camera with Phase Detection Autofocus and a 5MP front camera. The phone comes with a 2GB RAM with 16GB storage and supports microSD cards up to 256GB. The phone is powered by a 3080mAh battery. Realme C1, technically, does not fall under Rs 7000 price mark, but it's actually the best overall package to buy by paying Rs 500 more over the given budget. Unllke most its competitors, the Realme C1 has a glossy glass like finish with a notch on the front to add that premium touch to the design. Performance-wise, the phone boasts category's best chipset SD 450, which does delivers satisfactory results. It also has a decent set of dual cameras on the back and a huge 4000+mAh battery.